JUST five weeks remain before the Woodford Folk Festival gets underway, and crews are busy at work constructing the temporary town that will be Woodfordia from December 27 to January 1. Yesterday, the first larger-than-life inhabitants stepped into Woodfordia for a glimpse of what is to come. The Elders, the first six of 14 puppets soaring higher than seven metres tall, crept, walked, waved and showed off their moves. Queensland University of Technology creative industries students and local community members rehearsed their puppetry performance for the second time, under the watchful eye of master puppet maker and creative director, Daniele Poidomani. "They're an amazing team, and they got to see the 12 puppets moving together yesterday," he said. "It's been lots of fun and I'm looking forward to seeing the shows, creating and directing in the festival." Mr Poidomani has been working on the design of the giants since May, and began construction in August. Now, as the festival draws near, the task of finishing each puppet, fitting them together with their puppeteers and directing their performances, begins in earnest. The Elders will appear at the Opening Ceremony, and Woodford's flagship closing Fire Event, as well as appearing each evening throughout the festival. Joining them will be hero characters, Astrid and Naut, two outsiders struggling to find their place in the world. "We don't fully know where they come from," Mr Poidomani said. "They are two giant creatures who are basically different from the people they come from ... there's the issue of diversity." How they navigate their troubles will be revealed at the festival. 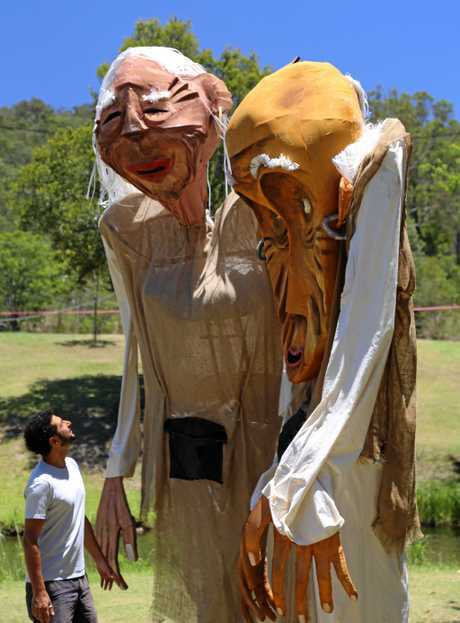 Woodford Folk Festival director Bill Hauritiz said the incredible puppets would bring the festival's theme to life and give "every patron a sense of magic". 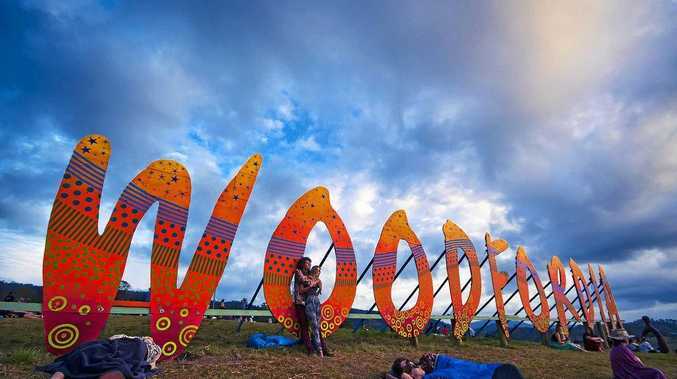 "The Woodford Folk Festival has always been far more than a music festival - it is a celebration of culture and the arts," he said. "This is exemplified by the diversity of the programme, which includes talks, arts and crafts, workshops and so much more. "Poidomani's incredible puppets take this creative atmosphere to a whole new level." Mr Poidomani and his students from QUT return to the festival for the fourth year of the puppet partnership, program manager, Kylie Southwell, said. 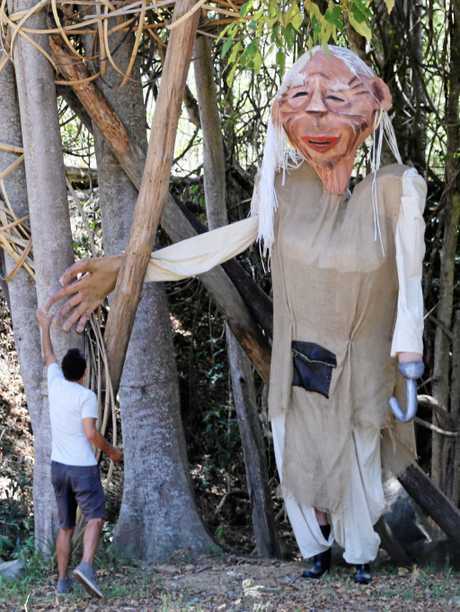 "We are so privileged to host such a masterful giant puppet-maker who's creations bring enormous joy and lend a magical air to the festival streets on a grand scale," she said. Meanwhile at Woodfordia the six main festival structures are being erected. Once finished Woodfordia will become Australia's 67th-largest town.